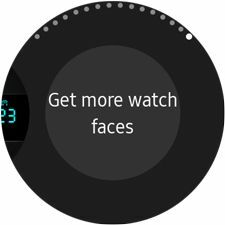 You can download free and paid watch faces from Galaxy Apps to customize your Gear S3. 1. 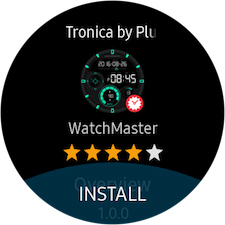 From the Watch screen, touch and hold the watch face. 2. 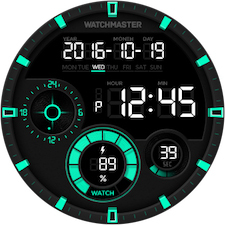 Rotate the bezel to the right and touch Get more watch faces. 3. 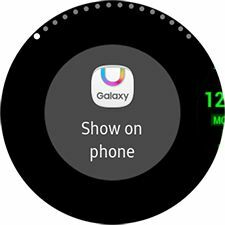 Touch Show on phone to open the GEAR tab in Galaxy Apps on your mobile device. 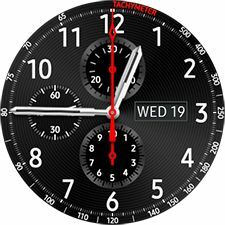 But you can also rotate the bezel to the right to see a portion of the watch faces available. 4. 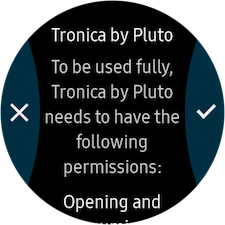 Touch the watch face you want to add, and then touch INSTALL. 5. Touch the check mark to confirm the installation of the new face. 2. 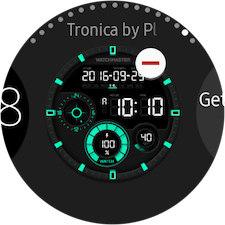 Rotate the bezel to the right and touch the new watch face to use it. 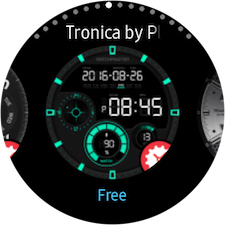 Note : If available, touch STYLIZE to customize the watch face.